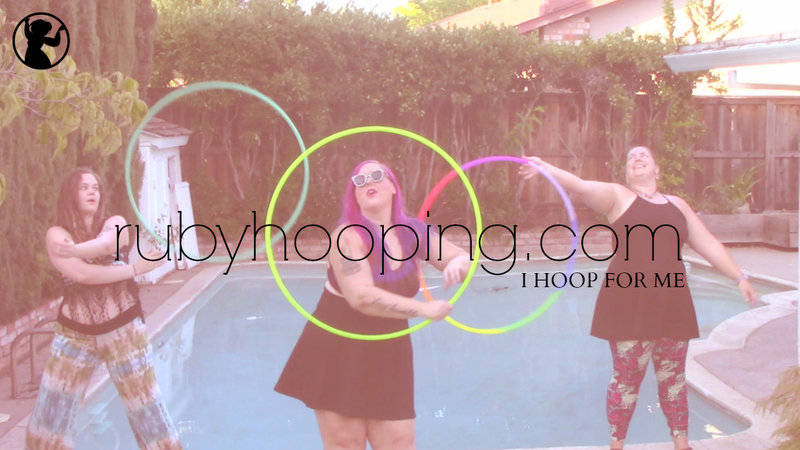 The best way to reach is us by email at rubyhooping@gmail.com. Or, find us on Facebook. We try very hard to respond to all inquiries within 12 hours! On holidays or weekends it may take us up to 36 hours to reply. PS I used a hula hoop as a child and twice recently as an adult. I am basic but competent. I am considering ordering a 38″ diameter. Any suggestions? Hi Ronnie! The weight will differ depending on the size and tape options you choose. For exercise and dance I would recommend for you a 38″ Beginner Hoop which is a nice moderate weight, around 1 pound, great for learning just about any move. Click here for the link. i love to hoop 5 ‘5″ tall. i have 40 to 42″hoops . my ? is i want to start more arm tricks but my hoops r heavy. want to do tricks but still do waist with arm tricks. please help need lighter hoop. Hi! I have spoken to you previously about getting a hoop! You recommended a 36OD 3/4″ HDPE for me since I know how to waist hoop as well as a few basic tricks. My question is.. would the budget practice hula hoop 3/4″ ID 100 psi PE 36 OD work for me as well? Hi! Well, this is where it gets confusing. 3/4″ HDPE and 3/4″ PE are actually not the same tubing size even though it sounds like they should be. PE is measured according to the inside of the tubing, and the HDPE is measured according to the outside of the tubing. That means 3/4″ PE is actually a little bit thicker than 3/4″ HDPE. However, 1/2″ 125psi PE is really similar to 3/4″ HDPE, so I would highly recommend the 1/2″ 125psi PE budget hoop in 36″ as a comparable alternative to 3/4″ HDPE. 🙂 Hope this helps. That was a big help! Thank you! When I was going to order.. it said only 32″ thru 35″ diameter is only available in 1/2″ OD PE tubing.. would i still be able to order a 36? It won’t be as light as a kid’s hoop. Most of those are made from cardboard or cheap plastic! Oh thank you Mama Ruby! I guess i am just so anxious to start that im over exaggerating! Thanks for baring with me and all my questions!! Hi Mama Ruby! So I have started to master my practice hoop (1/2″ 125psi PE 36″) I am already looking for a smaller hoop! Would down sizing in diameter change the re-activeness of my hoop? Or do I also need to get a lighter weight? What would you recommend? Hello! 🙂 Downsizing in diameter will definitely make it more of a challenge! But it’s a wonderful challenge. I usually recommend downsizing no more than 2-3″ at a time. So if you are using a 1/2″ PE 36″ I would recommend trying a 34″ 3/4″ HDPE, which will be both a little bit lighter weight as well as smaller. When purchasing your polypro custom hoops is the Diameter of the hoops to the outer circle or the inner circle of the hoops. We measure all hoops by outer diameter 🙂 Thank you Jessica!